Our Goal is to help our clients design and build better projects by saving construction costs and time through implementing the full potential of BIM; we have taken cutting edge technology, sharpened it, and then applied it to everything we know about BIM technology and the AECO Industry. 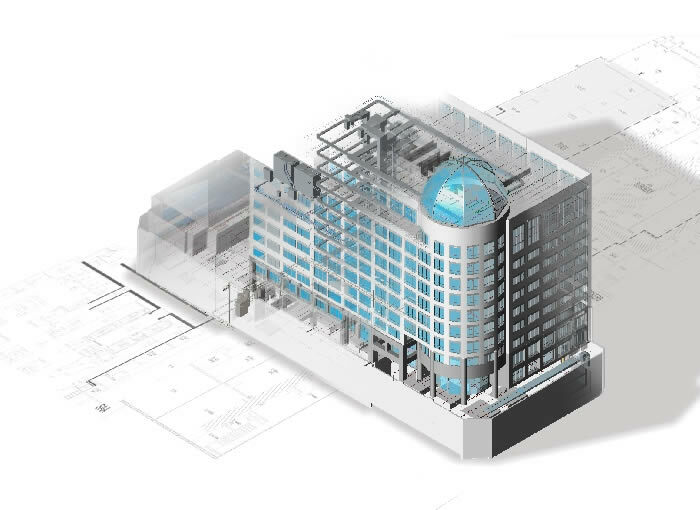 Our areas of expertise include BIM processes and standards throughout the life cycle of projects: From BIM Implementation and Training, to BIM Content Creation, to BIM Modeling in multiple platforms (Revit, Bentley, CADmep+, and many others), to BIM Coordination, Fabrication and Shop Drawings, to 4D Construction Scheduling, and through to Facilities Management. We have extensive experience in the private sector producing work for Health Care, Commercial, Hospitality, Industrial, Infrastructure, Entertainment, Educational, and Institutional projects. We also collaborate with the public sector on projects for the United States Army Corps of Engineers (USACE), Department of Defense (DoD), Naval Facilities Engineering Command (NAVFAC), US Department of Veterans Affairs (VA), United States Postal Service (USPS), and General Services Administration (GSA). ENGworks has the combined experience of over 25 years of involvement and collaboration in the field of building technology and related services. We are supported by the talent and knowledge of over 100 highly skilled technical professionals from multiple office locations in the Americas, including Los Angeles, Chicago, Sao Paulo, and Cordoba. Along with our strategic partners in the UK, Australia, Spain, Portugal, Mexico, Chile, Malaysia, and China, ENGworks currently participates in projects on a global scale, offering verifiably superior services and project support, all the while continuing to develop the unrealized potential of BIM.